We're proud to introduce a Fire Rated Mortar that's setting new standards in quality and performance. 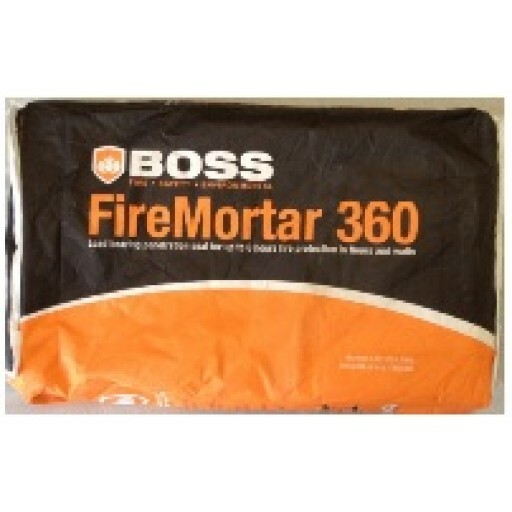 The new FireMortar-360 from BOSS - fire rated for an impressive 360 minutes in both Integrity and Insulation for nearly all applications. Approved to AS1530.4:2005 and EN1366, FireMortar-360 comes with an FRL of -/360/360 in extra large appetures up to 1.2m x 1.2m, or 1.44 sq metres. It can also be used in applications up to 3m long. FireMortar-360 doesn't only outperform its comeptitors in the field of Fire Rating. Its load-bearing characteristics offer an unmatched solution for floor penetrations and appetures. FireMortar-360 sets new standards in fire rated mortar. 6 hours insulation (FRL -/360/360) Load Bearing.